Carbon Black – a specialist in the realms of cloud-delivered, next generation endpoint security – has just issued its latest Global Incident Response Threat Report, aggregating key findings from IR partner investigations during the last 90 days. The company’s 100+ IR partners conducted more than 500 response engagements in 2018 and continue to use Carbon Black solutions in more than one engagement per day (on average). The insights from the Global Incident Response Threat Report chronicle Carbon Black partners’ experiences during critical engagements. The findings state that half of today’s surveyed attacks leverage ‘Island Hopping’, meaning that attackers are not only after a network, but supply chains as well. More than half of all survey respondents (56% of them, to be exact) encountered instances of counter-incident response in the past 90 days. According to the survey, 70% of all attacks now involve attempts at lateral movement as attackers take advantage of new vulnerabilities and native operating system tools to move around a network. Additionally, nearly a third (31%) of targeted victims now experience destructive attacks. This is an alarming by-product of attackers gaining better and more prolonged access to targets’ environments. Again according to the survey results, the financial and healthcare industries remain most vulnerable to destructive attacks, but the threat to manufacturing companies has grown significantly. In the past 90 days, nearly 70% of all respondents saw attacks on the financial industry, followed by healthcare (61%) and manufacturing (59%, which is up from 41% in the previous report). 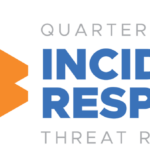 The latest Global Incident Response Threat Report aggregates qualitative and quantitative input from 40+ Carbon Black IR partners and includes detailed Case Studies from BTB Security, DarkMatter and Optiv Security. The report’s goal is to offer actionable intelligence for business and technology leaders fuelled by analysis of the newest threats and expert insights on how to stop them. This is Carbon Black’s third Global Incident Response Threat Report since their introduction in July last year.